When the bombshell dropped about a wide-ranging college admissions scandal involving rich people paying ungodly sums of money to make sure their kids got into Ivy League and other high-profile universities, you knew it was just the tip of the iceberg. That for every Lori Loughlin and Felicity Huffman, there were going to be tons of random rich people you’d never heard of doing the same thing all across the country. All of which brings us to a story by Joshua Miller in the Boston Globe on Thursday. It revolves around legendary Harvard University fencing coach Peter Brand. Brand is one of the most successful fencing coaches in the country, compiling a 212-88 overall record with the men’s team and a 258-75-1 overall record with the women’s team. 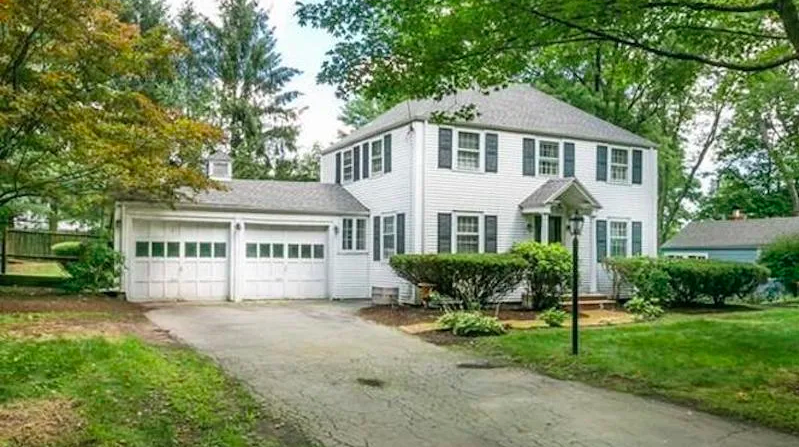 Presumably, he’s doing very well financially, so it’s no surprise to learn he was the owner of a house in Needham with an assessed value of $549,300. What was surprising, however, was the fact that he sold the house for $989,500 to Jie “Jack” Zhao a few years back. Zhao is the co-founder of iTalk Global Communications Inc. and a big fan of fencing. Still, that doesn’t quite explain why he’d buy a house from Brand so far over market value. But then you learn that Zhao’s son, a high school junior at the time, was applying to Harvard and was interested in being on the fencing team. You’ve probably put two and two together by now. 17 months later, Zhao sold the house for a loss at $665,000. And then, a week after that, Brand and his wife moved into a Cambridge condo that they’d purchased for $1.3 million (the asking price there was $989,000). But given the profits they’d made on that sale, they could afford it. According to Zhao, the Globe has it all wrong and he was very eager to explain himself. So much so that he insisted on flying to Boston to have a face-to-face interview with Miller because “he wanted to explain everything in person, and, in his words, look the reporter in the eye.” Zhao then told Miller that he and Brand had become friends after his other son Eric enrolled at Harvard and fenced for the coach. Zhao said that he’d overheard Brand complain about his commute from Needham to campus, which could take upwards of an hour. He says that he offered to buy Brand’s house and simply accepted whatever price Brand told him was fair. In fact, he admits that while he gave the house a once-over, he didn’t even bother checking the market value, having a formal inspection, or getting it assessed. He then said that the proof this was not some kind of scam was that he put his own name on the transaction. Of course, it’s unlikely anyone is going to buy that story. Harvard certainly doesn’t like they’re taking it at face value. The school learned about the sale from the Globe and has since lawyered up. “We are committed to ensuring the integrity of our recruitment practices,” Harvard College spokeswoman Rachael Dane told the Globe. Per The Crimson, The school has opened an “independent review” on the matter. Eric graduated in 2018 and Edward is currently a sophomore on the fencing team. Both of them told the paper that they knew nothing of the home purchase or its potential effects on their enrollment. Edward’s profile for the fencing team appears to have been unpublished as of the time of this writing, so we’ll see just how long he’ll still be where his dad really, really wanted him to be. And of course, you can be pretty sure that this isn’t the last one of these stories you’re going to hear about. Chances are if there’s a prestigious or expensive university near you, there’s also a reporter or two digging around looking to find out how and when this kind of thing happened there.